Wondering why the price of the item you are watching on ebay increases sharply in the last 3-10 seconds? are people watching behind to follow it through? Read this post from techradar.com, you will find the reason and best practice! Try this for your next TLR. 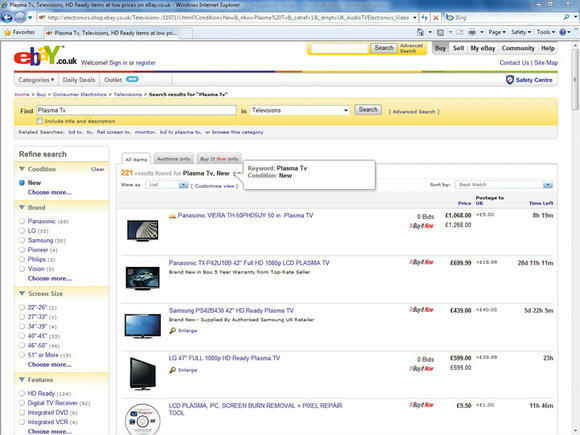 A number of software packages and websites offer eBay sniping tools. The advantage with using a website is that your PC doesn’t even need to be on when the auction ends. If you don’t want to snipe straight away, you can place an item on your Watch List, enabling you to track its progress in My eBay – you’re emailed a reminder 24 hours before the auction ends. Buyertools is a desktop application that can watch the auction you’re displaying in your browser, or by eBay item number. You can also download all the items you’ve got waiting in My eBay. 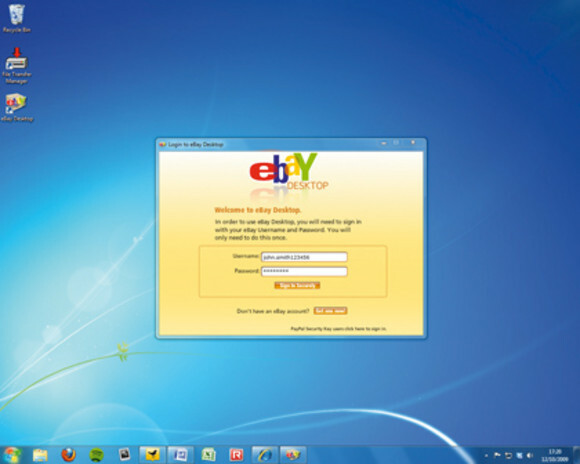 You can use the Internet Explorer 8 eBay Web Slice, too. Goofbay is a free sniping service, but you need to register. You also need to enter the eBay item number, your eBay username and password, the number of seconds before the end of the auction that you want your bid placed and the maximum amount you are willing to pay. Choosing the right number of seconds before the auction ends is crucial and takes time to get right, because if someone sneaks in after you, they take the auction. With software, the speed of your internet connection can be crucial, while with all sniping services, there is the risk that your method may not place the bid in time. You need to use a trusted service, too – especially as you need to enter your username and password to make sniping work. Auction Stealer and Auction Sniper are website services. Auction Sniper has a free trial with three free snipes. After that, you need to sign up, which costs one per cent of the final auction price, with a minimum of 25 cents and a maximum of $9.95 per won auction. Auction Stealer is free, but there is a priority option that costs. It snipes within 10 seconds of the auction close, and acts on up to 22,000 auctions every day with a success rate of 97 per cent. If you’re serious about bagging the bargains, upgrading to the priority account could be a good tip – costing $8.99 (£5.58) a month. This means Auction Stealer bids with only three seconds to go from the end of the auction and success rates are also boosted to a barely believable 99.9 per cent. What’s more, you can also place your bids in groups, so you can make bids on multiple auctions of the same type of item. When you win one, the others are cancelled. Clever stuff. 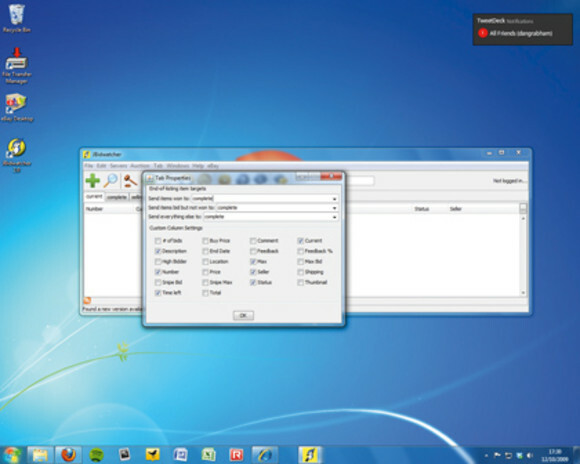 Desktop apps can also be effective, though your PC needs to be on when the auction closes and you need to have a decent internet connection – there’s a possibility you might be beaten to your item by someone with a better connection. JBidwatcher is one such app. Configuring it to snipe an auction is a piece of cake. After launching it, choose the eBay tab and enter your eBay username and password. Click Test Login to ensure that these are correct. Then click the Sniping tab and enter the time in seconds before the end of each auction that you want the program to enter your bid. Click Save. Give the application the eBay auction number of the item you want to bid for – choose File ➜ Add and paste in the auction number, then click OK.
Now right-click the auction and choose Sniping. Enter your maximum snipe price before clicking OK. It’s done. Your software also needs to synchronise time with eBay’s servers so that it gets in at exactly the right moment, while any delay with the logging-in process can spell disaster for your bid. Whatever sniping method you use, it’s worth getting the views of others on forums and websites. If you’re using a downloaded application you haven’t heard of before, treat it with caution. Make sure that sites such as www.download.com and www.softpedia.com recommend it and that there’s no spyware or adware attached to the download. It’s especially important that the software is trusted because you need to give the app your eBay username and password. If using such third-party services, we recommend that you always have a different password for your eBay account from other services, especially online banking. There are also tools to give you an idea of whether something you want to bid for gives you the best price or not. Gumshoo can filter out items, such as accessories, that you don’t want, as well as spot misspelled items that others won’t have seen in their searches. Price Pirates can help you see similar items on eBay. Launch the program and enter your search terms. You can enter the maximum and minimum prices that you want to pay. This helps to narrow down multiple results. Click Search to see the results for your selected eBay country. Select the item description to go directly to the auction. 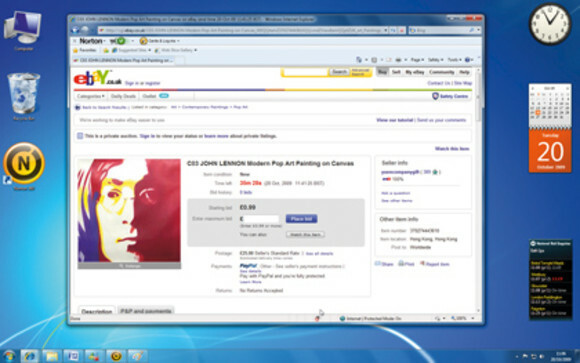 Click the preview picture to see an image of the item for sale. To ensure that this is a fair price for your item, click the Price Comparison tab. This takes you across to a price comparison site to check out whether their prices are cheaper. With sniping, bidding in increments becomes extremely important. While most people bid in round numbers such as 50p or £1, bidding with a number such as .51, .66 or .88 ensures that you can pip people who bid in the more usual increments, and you won’t annoyingly lose out by just a few pennies. Remember that your bid enters you into a contract with the seller, so if you win, you must pay up, or risk being banned from eBay. You’ll certainly receive negative feedback and be reported if you go back on the deal.